For most folks, the morning commute to work is a real drag. Waking up early when it’s still dark, heading out in the rain and the cold isn’t really that fun. For some people, the morning commute is hard when you don’t have much money – especially if you can’t afford public transport. But what do you do? Well, if you’re Jaylesya Corbett you walk. Sgt. 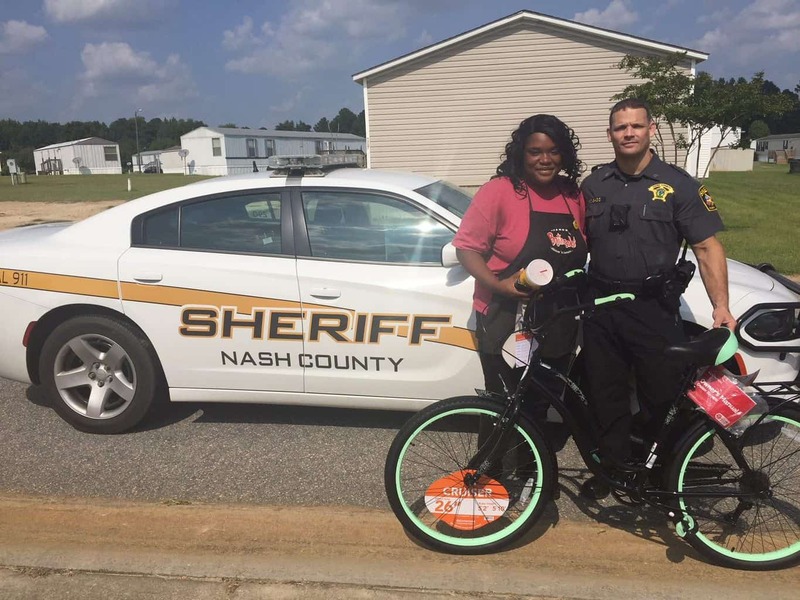 Scott Bass from the Nash County Sheriff’s Office knows that commuting can be tough. Especially when he noticed a woman who had a more challenging commute than him. Bass had seen the same woman several times as he drove by the Stone Gate Mobile Home Community. One day, he decided to stop and chat with her. One morning at this intersection I saw a young female walking, and it was really, really cold. I could see by her dress that she worked for Bojangles. Jaylesya worked for Bojangles in Nashville which was six miles away from her home. It took Jaylesya two hours to walk to work and two hours to get home each day. Whenever Sgt. Bass saw her, he tried to help out. He’d pick her up on days when the weather wasn’t great or if it was cold outside. But on the days he didn’t see her, he couldn’t stop thinking about how hard her walk to work must be. Bass was impressed with Corbett’s perseverance and commitment to work. It just kinda really weighed on me and bothered me, and every day that I gave her a ride I just, for some reason, just talked to my wife about her. Sgt. Scott Bass couldn’t get Jaylesya’s commitment to work out of his head and he knew he wanted to do his bit to help her out. I wanted to help Jaylesya because she walks six miles to work every day regardless of the temperature, rain or shine, stands on her feet during her entire shift and walks six miles under the same conditions back to her home — and that is truly admirable. I’ve had the opportunity to get to know her and wanted somehow to lessen her burden of that 12-mile walk. So Bass went and spoke to the management of a local Walmart. After hearing her story, they were happy to help Corbett out. The store donated a brand new Schwinn Fairhaven Women’s Cruiser Bike so she wouldn’t have to travel to work on foot. This has rapidly shortened Jaylesya’s commute to work and she’s very grateful to both Walmart and Sgt. Scott Bass.